I used the “S” word this week … Stupid. I’d discipline my kids if they ever use that word, but I was directing this at myself, “KIM! Keep it simple stupid! Yes, I know that isn’t any better, but after ripping apart and rearranging rooms because I wanted “Fall Perfection”in my home, I realized I was being TOTALLY ridiculous. That, and the fact that my son’s playmate said, “Your house is trashed!” Yikes! Ahhh, out of the mouth of babes. Fall has arrived and bringing harvest into home doesn’t have to be complicated. Most of the time a few inexpensive touches result in the prettiest appearance. And I need to remind myself that! Our music room is the first room you see when entering the house and I gave it a mini fall makeover with a few affordable fall items from Kirklands. 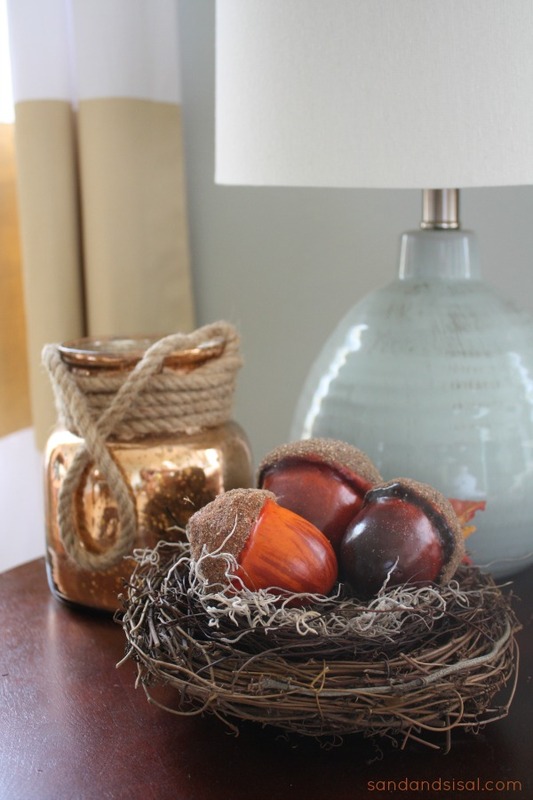 These Decorative Acorns look just adorable nestled in a little nest next to the Copper Mercury Glass Lantern. My autumn color scheme is a combo of hot and cool, copper and blue. So when I saw this gorgeous Antique Blue Fleur-de-Lis Vase I knew in a second how pretty it would look with a few havesty bunches of Cattail Mix Bouquet! I love all that chippy, antiqued goodness! I rested a copper pumpkin next to it. These copper pumpkins were so insanely popular (they come in a trio) that they are already sold out online, but hopefully the stores might still have some in stock! The Copper Trend is hot this year, especially for fall. Click here to see where I’ve implemented the copper-look in my home. My family’s 100+ year grand piano needed a bit of sprucing up too, so I filled Bronze Glass Canisters with decorative acorns, LED candles and faux autumn leaves with a bit a bittersweet berry garland draped about. It looks so pretty glowing at night! We are still very mild here in coastal Virginia and the pampas grass is abundant. I had many pampas fronds left over from my Pampas Grass Fall Door Swag and grouped them together in a large glass vase filled with corks, along with my DIY Coastal Pumpkins. 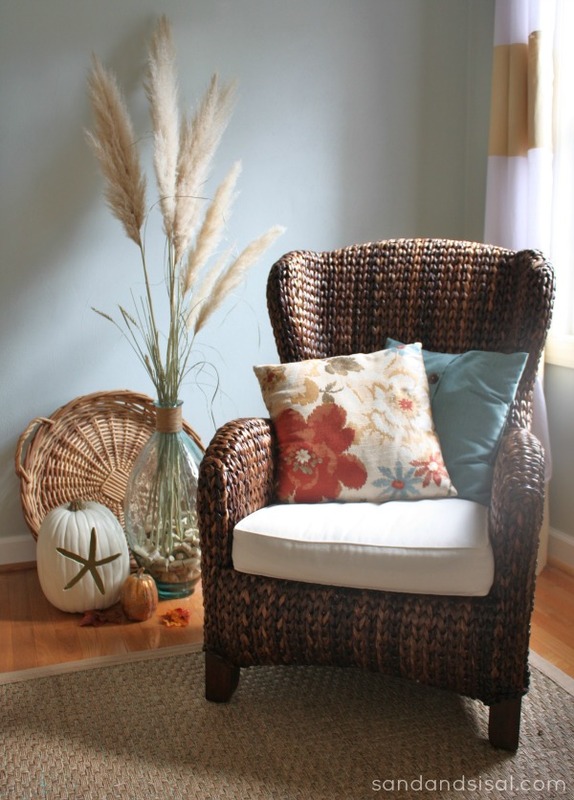 I think it creates a nice autumn beach reading nook. 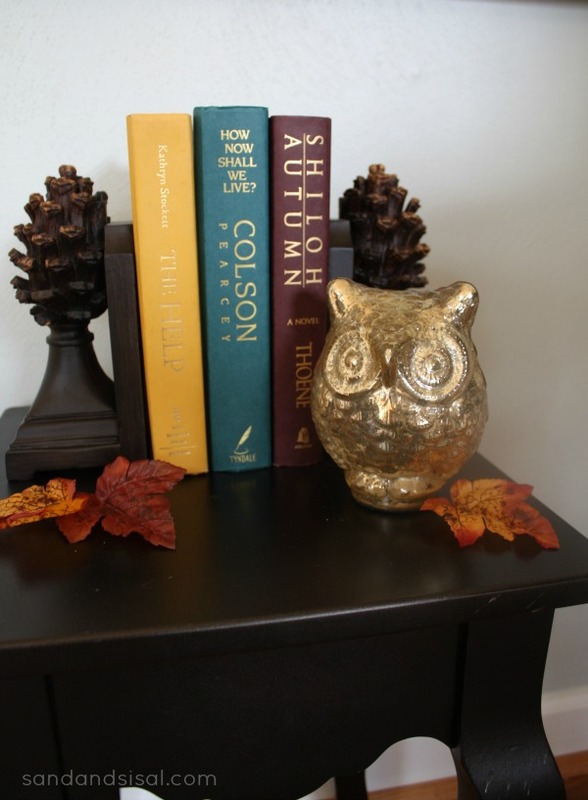 Grouping together a few of my favorite reads with these Pine Cone Pedestal Bookends seems appropriate for fall. Isn’t that little mercury glass owl cute? 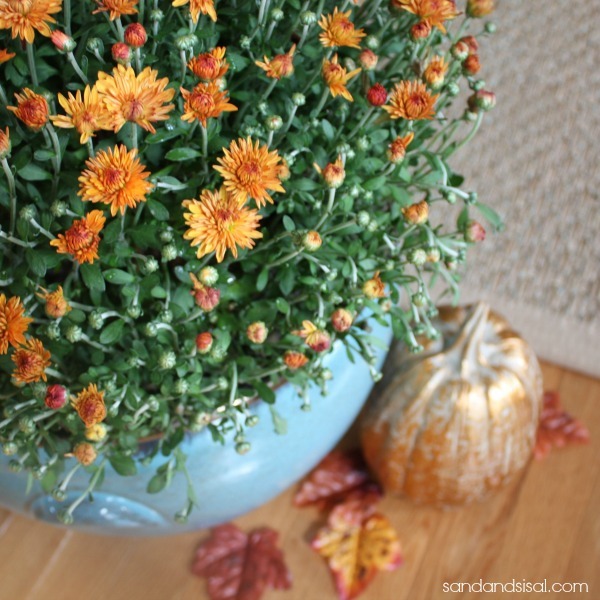 Of course fall decorating wouldn’t be complete with a mum or two! 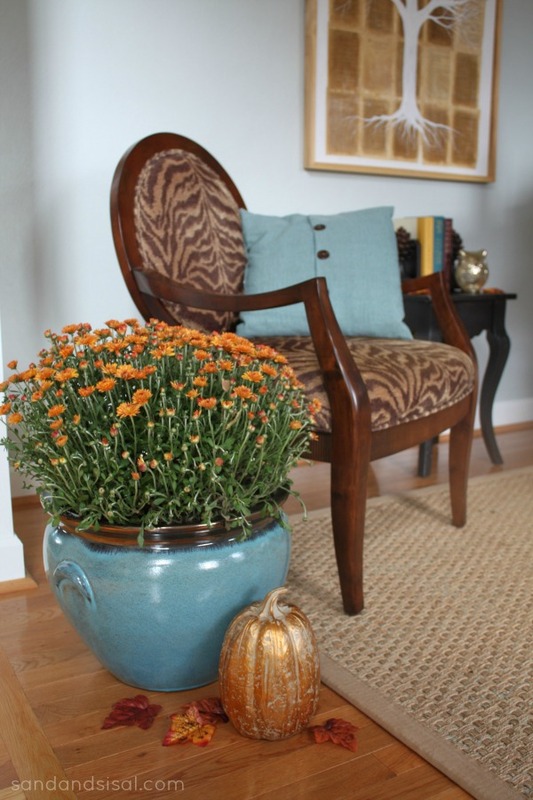 I chose a coppery orange mum and planted it in a blue ceramic planter along with one of Kirkland’s precious little copper pumpkins. 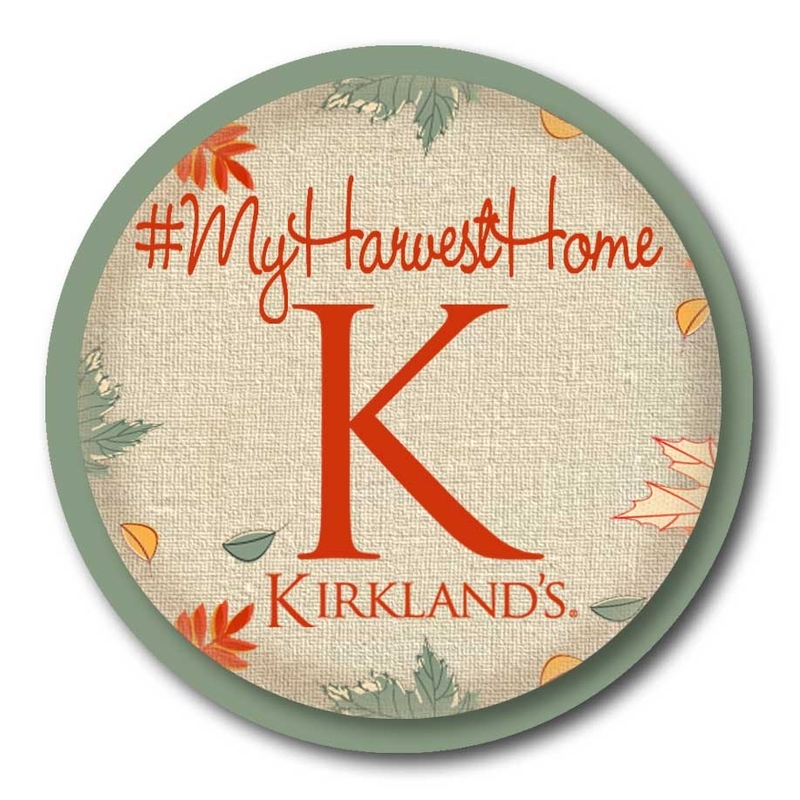 Would you like to bring the harvest into your home with a MINI-MAKEOVER from KIRKLANDS? I received compensation for the “My Harvest Home” campaign blog post. 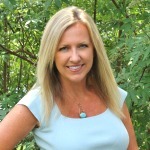 Kirkland’s partnered with several bloggers like me to raise brand awareness. All purchases and content are on my own accord and reflect my personal opinion and style. Kirkland’s blogger outreach policies abide by the WOMMA Ethics Code, FTC guidelines and social media engagement recommendations. For official Kirkland’s giveaway rules, visit http://www.kirklands.com/content.jsp?pageName=blogger_rules-03. I love so many things from Kirklands. I really love some of their cinema canvas prints. Thanks for the chance to win a great gift card. I love kirklands! Thanks for the giveaway! I’m kind of in love with the Haunted Mansion LED Canvas Art Print and ALL the Halloween stuff at Kirklands!!! I love everything about Kirklands! I’ve been eyeing their cute accent tables for a while now and thinking it’s time to finally get one! 🙂 Thanks for the giveaway! Love, love Kirkland. Shop there all the time. Would love to win a gift card. Thanks for the chance. I love the riches gray king comforter set and their rugs…and their lamps..etc etc! 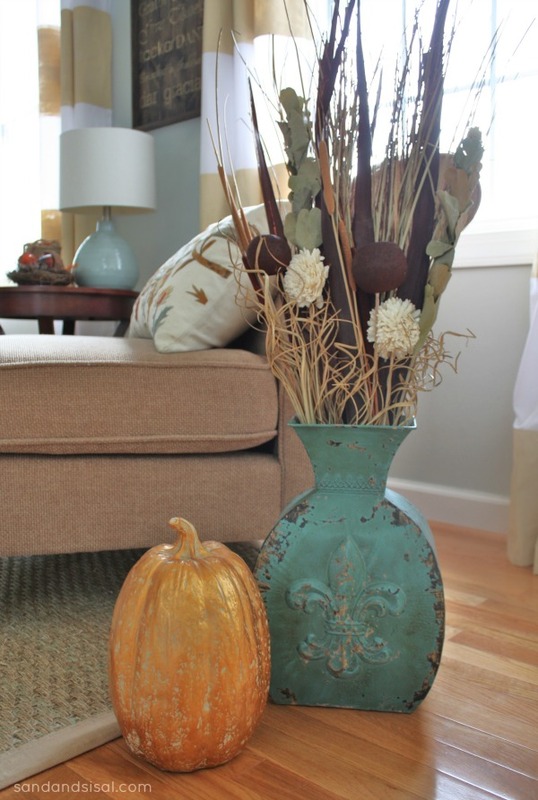 The Metallic Pumpkins and the Mercury Glass Pumpkins… I have places for both!!! I love the mercury glass pumpkins they have right now! I’m another mercury glass pumpkin fan. They’d be perfect for my fall mantel over our gray stone fireplace. Fun giveaway—thanks for hosting! Simple – and beautiful. TFS! Pretty Kim. Hahahaha… gald to know I am not the only one with the ban on the ‘s’ word. That is the theme with me as well this year… simple.. understated… beautiful. 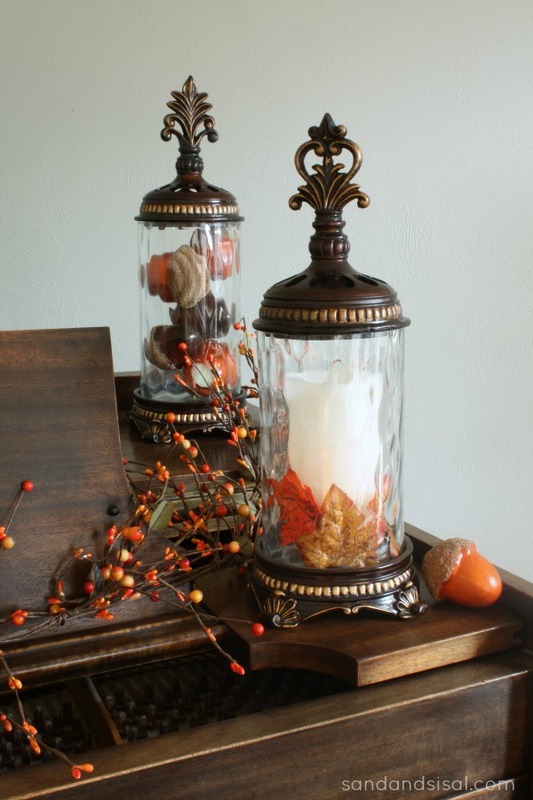 I love the floral filled lantern.A few of those around my house would definitely “fall” up my house. I love everything from Kirklands and wish that I didn’t live over an hour away from the nearest store. I would say that my favorite item right now is the New Porch Rules sign. I have been eyeing similar ones and this one would be perfect for our porch overlooking the lake! 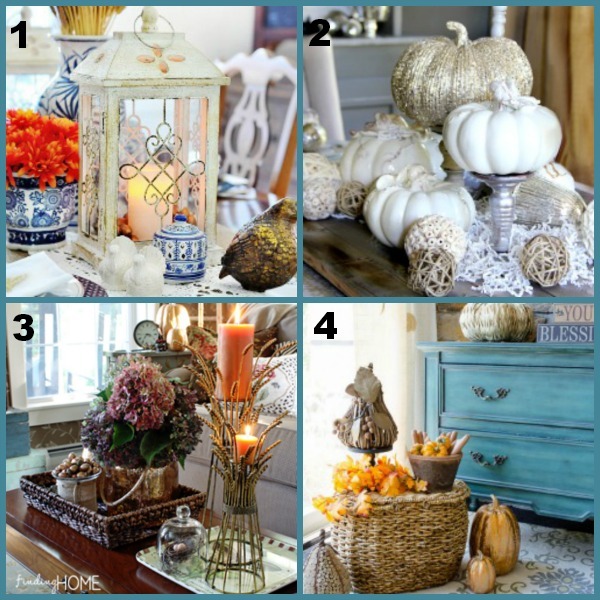 I love ALL the fall decorations….there is to many to commit to just one!!! love the birch candleholders! No abundance of birch in my area and I think it adds so much dimension to a room. Oh my gosh! I could never choose just one item, but I am really loving the Tristen Black Cabinet! what a great giveaway! i like the jiya floral medallion pillow. I like the Whitehall Wall Mirror. It would be perfect for my guest bedroom. I love the Suzanne Static Area Rug. There are several area rugs and wall mirrors that I love! If I have to choose just one, I’d say the Campbell Beige & Blue Block Area Rug. I like the Bordeaux Metal Lantern – it’s so versatile! I am a HUGE fan of Kirkland’s! Currently, I’ve been spying the light blue rustic lamp … hopefully it will be mine very soon! I am ready to get my SHOP-ON! LOVE Kirklands!! Turquoise Fluted Glass Table Lamp! I like that Delphine Distressed Blue Cabinet! I love the Marissa Tufted Lounge Chair. Everything looks great – I really like the bookends! Simply perfect! So glad to have been able to have done this project with you! Thanks Laura! Always awesome working with blogs I love & respect! I love the bronze quilt holder. Also love all the peacock stuff. I’m really liking the lighthouse pillar candle holder…a perfect bit of the seashore….when your hundred of miles away from the ocean! I love the Espresso Wine Tower! I like the Tan Damask Slipper Chair. I’m so very much in love with the Harrison Ivory 5-Drawer Study Desk! I am in the process of transforming our living room into a craft/sewing/playroom and would love to have this piece!! It’s beautiful! I really love the comforter set Rusch, Vanilla for a queen bed. There are so many things I love in that store though so I would probably change my mind next time I go online to look! What a generous give away! Thank you for the opportunity! I love the mercury glass pumpkins = great for this time of year. I love the acorns you showed as well as the filler acorns on their site. So many pretty fall decor things! I really love the wheat bushel candle holders. I love love love eveything about Kirkland’s. Shop there often and have purshed many things from there. Thanks for the chance to win a gift card from Kirklanhyd’s. Ahhhh, there is so much to love. I’ve never been to a Kirklands as they do not have them in Southern California. I love your cattail bouquet mix and have the perfect vase for it, but when I went to the floral section, I actually fell in love with the Coastal Bouquet. The Natural rattan pumpkin is just adorable. I love the Light Blue Rustic Table Lamp! It’s so pretty and reminds me of the beach! I love Kirkland’s and am totally excited about it coming to Rockford IL. I have been watching the build with anticipation and can’t wait for it to open………………..I used to drive for 40 min. just to shop at the closest store in my area. There is so much I love at Kirkland’s–but we would like new lighting for our living room,or a new area rug for our dining area.. I love the blue table! Love it all! i love kirklands. thanks for having such a nice giveaway. who knows maby i will win. WOW!! So pretty! I would love to have this type of decorating in my house! ‘The Help’ is one of my favourites, too! I love the Acanthus Orb Bowl and the canvas art (so many pretty pieces to choose from). Their variety is wonderful. I would love the Blue Velvet Settee…or pretty much anything else! This post cracked me up, I used the S word also (yes about my own self because I accidentally deleted something), while I was hanging up the phone during a conference call – I was so mortified that the folks on the line may have thought I was referring to them (if they heard at all) that I sent out an apology email to everyone. And yes, thank you for the inspirational home tour!! I love the metallic acorns…Anything metallic is terrific for autumn! I love the metallic acorns and pumpkin & leaves bace filler and the crackle pumpkin 🙂 I so love fall & fall decorating! I’m in love with the Golden Forest Wall Art from the cabin and lodge collection! I love the large acorns! I love all the fall decor at Kirkland’s right now! Thank you for the great inspiration!! I really love the Bronze Glass Canister set! OOOOh I love the Blue Copper Ombre Metal Floor Vase. Kirklands just came to us a few months ago.. I love the store and have a list of things I want. When my son was about 4 I went to visit a friend who was down visiting with her parents. My son walks up to the mom and says ” your house is dirty and it stinks” all true, but I wanted to crawl under the couch, but couldn’t because there was to much trash under it.